This is a challenging but rewarding special needs school project that caters to children with development delays as well as vision and hearing impairments. There are several students who are deaf, and sign language is commonly used to help communicate with the children. Some of the children live with autism, Down’s syndrome and are being provided speech therapy. Volunteer Argentina, This Therapeutic Education Center offers home to children and adolescents diagnosed with moderate to severe intellectual disabilities, ages from 6/7 to 13/14. These diagnoses may be associated with other neurological disorders as epilepsy, infantile autism, Prader Willi syndrome, personality disorders and PDD. Actually the center assists 40 people. Volunteer in Cusco Peru are needed at a special needs center located in Cusco Peru. All residents, regardless of their age, suffer from various physical and mental ailments. The home is for adult and child residents who come from the poorest communities in and around Cusco. The center is quite large and has several dedicated areas, including separate buildings for women, men, and children. There is small therapy room for children and large outdoor areas for sitting, reading and talking with the residents. As a residential facility bedding and food are provided for all residents, and most of the home's funding comes from donations and international support. Volunteer Argentina, This organization is composed by a team who work with children and youth with disabilities, using equine therapy, orchard and “streetband” as part of their rehabilitation, being a complement to the treatment. Coordination is in charge of a Psychologist that works on the horse individually with each patient, which is accompanied at the meeting by the rest of the team. Volunteers in Nepal needed at a Special needs children’s care center located in a suburb of Kathmandu. This center is caring for physically challenged children by providing them with the accommodation, daily care, health care, medication in the form of corrective surgery and education. Most of these children come from poor families who cannot care for them at home. Currently there are more than 40 children being cared for, most of them between 10-12 years old. 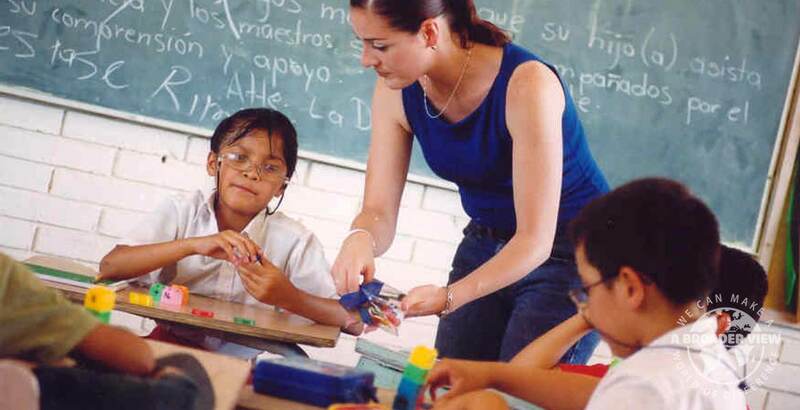 Volunteer in Guatemala, this educational center provides education to people with a visual and hearing handicap. The center offers pre-primary and primary education in classrooms until 6th grade. There is also a special education classroom. The center accommodates a total of 140 children. Volunteer in Ecuador, undergraduate students (medical/nursing/public health) are welcome to join our health related project in Quito. This local facility provides services to impoverished families/children. The center's mission is to provide medical attention to both children and adults with all types of acute illnesses, chronic diseases and rehabilitation therapies for children with special needs. There is a day care center for babies and toddlers, rehabilitation services for children with Down's, cerebral palsy and other disabilities, as well as health checks and treatment.